Chilly extremities run in the family. I, like my father before me, am forever finding ways to get just a little warmer. Multiple layers of socks will often do the trick. A hot pot of tea can work. The donning of 17 sweaters? A perennial favourite. My children are no exception to the rule. Often, on a frosty winter night, we have found ourselves bundled together under a stack of blankets watching a favourite television show, keeping each other cozy. Now that’s the life, eh? A recent addition to the quest for warm toes is the scrappy little rug. 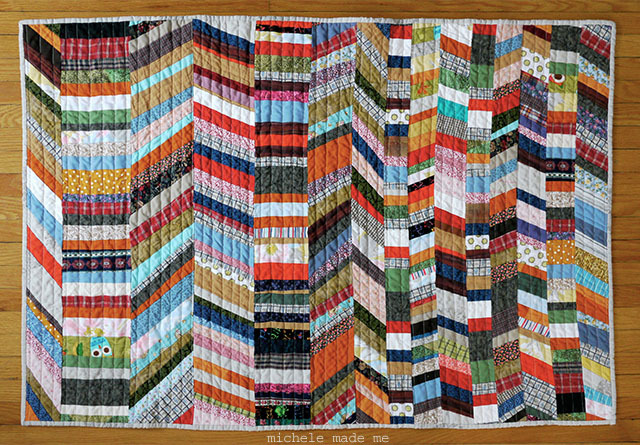 I’ve made a few in the last few months like the quilted heart rug and, my personal favourite, the crazed little rug of scraps, for example. And here is yet another made especially for Elle who lives far away but whose toes should certainly not be neglected. 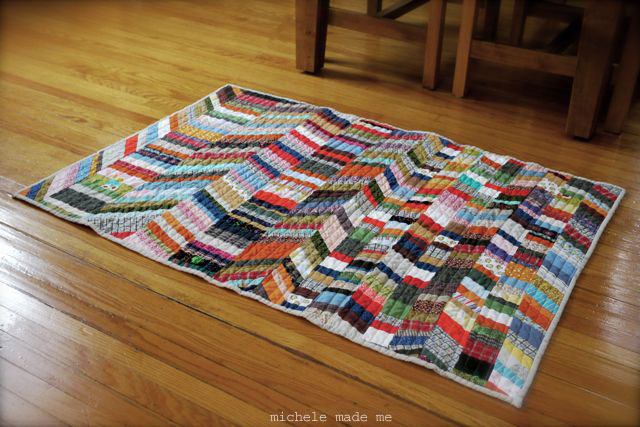 A nice way to simultaneously use up scraps and keep those tootsies toasty, don’t ya think? 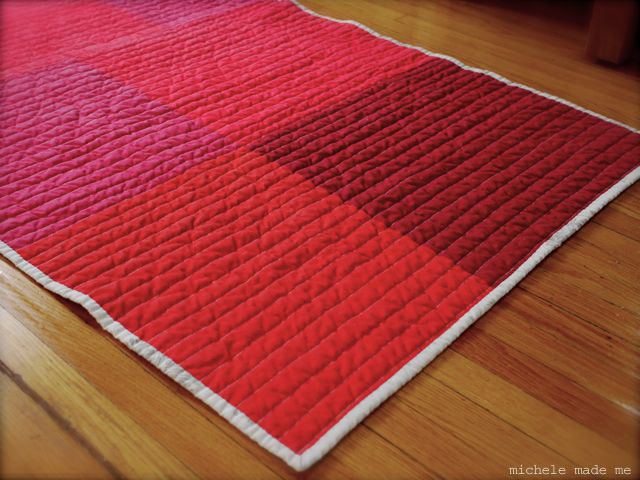 Your scrappy quilt is beautiful!!! An absolutely lovely way to use up scraps! Oh totally. And fun to make too, eh? It's stunning. Well done you. How lovely! I'm sitting by our wood stove with my laptop as we are being hit with the first freezing days of winter here at the Little Shack. Brr! Need t throw another log on and grab my favourite sweater. Sending warm thoughts! Thanks for the warm thoughts Sue, and right back at ya, eh?